A company blog can add tons of value to your website and seriously improve your SEO efforts and Google ranking. Writing and publishing blog posts on your company site provides your customers with fresh content on a regular basis, improves your online presence by extending your site, gives you something to post on social media to encourage customer reach and engagement, improves your brand’s online authority, and gives you the opportunity to create an online community. But, writing blog posts that do well and give you the results that you want from them isn’t always an easy task. Many companies try and fail at starting a business blog. 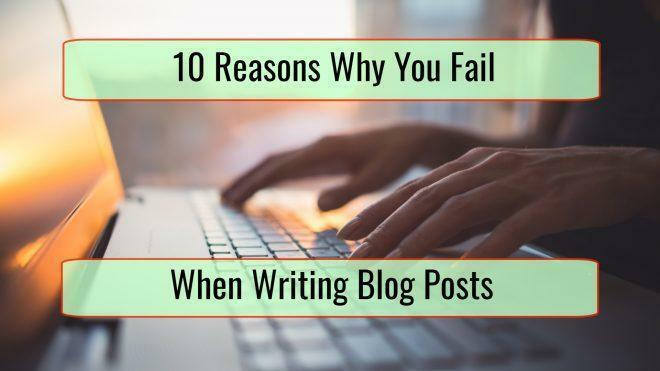 If you’re finding that business blogging isn’t turning out to be everything you thought it would be, here are ten common mistakes that you might be making. Not including enough information on your blog posts is quickly going to leave your readers dissatisfied and looking elsewhere. Covering the basics is important, but to truly make your posts interesting to read, you have to do your research and go into some details. Come up with blog posts that only you could write – talk about your company culture, tell your story, or put together a list of personal recommendations. Don’t just write the same old things your competitors have been covering for years. On the contrary, going too far with the information that you include can also lead you to a dead end. Any successful blogger will tell you that there is a fine art to writing posts that include all the relevant information whilst also keeping them short, sweet, and to the point. Let’s face it, nobody wants to trawl through paragraphs and paragraphs of text that could have been easily summed up. On the subject of paragraphs, if yours are too large with no breaks, this could be putting your readers off, no matter how great your actual writing is. Hit the enter button after every few sentences or break your blog posts down into ‘listicles’. They’re far easier on the eye than large blocks of text. Maybe your blog posts read amazingly and are packed with useful information, but the sad truth is that if they aren’t easy to read on a smartphone, you’re wasting your time. Don’t forget that the design and layout of your blog is just as, if not often more, important than the content itself. It’s 2019, you need a responsive blog design, otherwise, nobody will bother. Do you write your blog post, publish it, and then just leave it there? If that sounds like you then not to be harsh, but it’s no wonder you’re not getting the results that you want. To get success with your blog posts then you need to shout about them from the rooftops. Share them on your company Facebook, Twitter, and LinkedIn profiles. Send them in your email newsletter. Nobody will talk about your blog posts if you don’t! A huge mistake that business owners make is assuming that readers are simply going to engage without being asked to. And yes, this can sometimes be the case, but more often than not, your average reader is going to need a little push. Conclude your blog posts by asking for ideas and opinions. Ask for feedback directly – don’t leave it up to the reader to decide. There’s no point in having a business blog if its sole purpose is to churn out content and provide more URLs to your website. If you’re posting content for the sake of it, then Google is going to find out and you may as well have sat down and had a beer instead of writing. Your main goal should be to provide high-quality, informative content to your readers. Give them something that actually helps them meet their goals and solve their problems. Then, all the rest will fall into place. Keywords are great but don’t make them the main focus of your articles. If you can slot a keyword in without anybody guessing that it’s actually a keyword then great, but if you can’t, just focus on providing content that provides value to readers. It’s going to do much more for you than forcing keywords into a blog post that nobody wants to read. Writing a title that made the article behind the link sound a lot more exciting or informative than it actually was used to seem like a great idea, but if you’re still doing that now, there’s a reason why you might feel like your blog is still stuck in 2014. It probably is. Let’s face it, nobody likes clickbait. All it does is annoy people who’ve just wasted their time clicking on a link, only to feel misled and hit the back button within minutes. It won’t get your blog posts read, it’ll just put your readers off clicking them. Instead, opt for catchy, informative titles that give readers a clear idea of what they’re about to see. 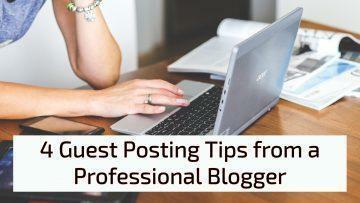 Last of all, your business blog should establish a routine that you can keep up with. If you’re only posting once a week, posting on the same day and at the same time each week is a much better idea than posting every day for a week and then failing to add any fresh content for another month. Once your readers begin to know when to expect your blog posts, you’ll find that they’re getting much better opening and engagement rates. 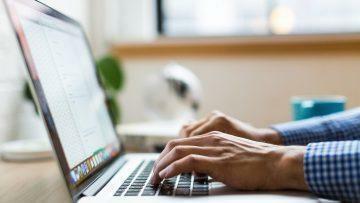 Running a company blog can be a great way to boost your brand website, establish trust, and authority, and increase engagement with your customers. But, make sure that you avoid these ten common mistakes!